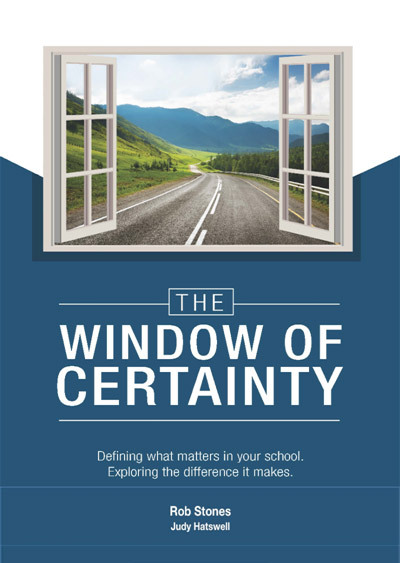 The 'Window of Certainty': Defining what matters in your school. Exploring the difference it makes. This is a guide to creating cohesion and an energised sense of shared purpose in your school. It explores the importance of having a clear vision, agreed outcomes, shared values and helpful beliefs as drivers of the engagement and change that will optimize student learning. It also includes a very practical ‘technical’ session, which will guide school leaders, step by step, through the process of creating their own 'Window of Certainty'. This is an important handbook for school leaders who want to lead a learning community characterized by alignment of purpose and sense of collegial unity. Purchasers from outside Australia must order through Amazon or through their local book retailer. Apt., suite, unit, building, floor, etc.